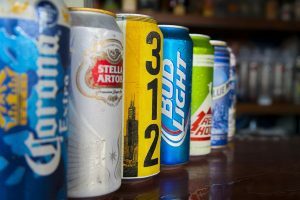 SALT LAKE CITY (AP) — The influential Church of Jesus Christ of Latter-day Saints has come out against a proposal to allow more alcohol in Utah beer, a position that could hurt the state’s chances of joining most of the country in shedding low alcohol limits. Church lobbyist Marty Stephens says in a statement the faith opposes the measure that would allow 50 percent increase in alcohol content so standard beers could be sold in grocery stores and on tap. Republican bill sponsor Sen. Jerry Stevenson tells reporters he’s not sure how it will affect ultimate chances for the measure that would increase alcohol limits from 3.2 to 4.8 percent. The proposal unanimously passed a committee vote last week, though there was pushback from conservative groups as well as local microbreweries who say it favors large corporations. of it, Beer is better for you than opioids. Separation of church and state. What happened to that?